Lock in a great price for Freedom Hostel – rated 9.3 by recent guests! 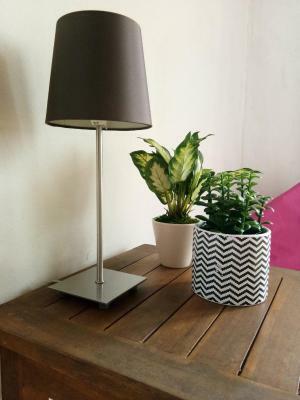 Room is a great value for money! Waterpool is so big. Territory is beautiful, quiet. Owner is 10 out of 10 guy. He is a dj and a boxing trainer, training is for free. Sometimes makes parties on the 1st floor. Wishing him good luck. 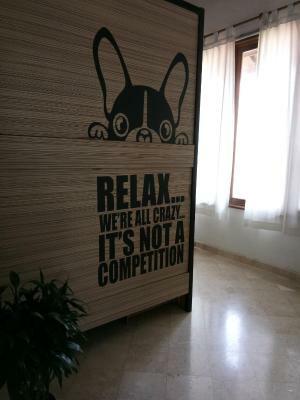 Super friendly staff, gorgeous new hostel, nice decorations, really cosy, massive pool and chairs to relax, they have their own restaurant on site, breakfast is included, you can rent motorbikes there and they’re quite new. The dorm rooms have pod beds with privacy shades, PowerPoints and reading lights, plus lockers to store your stuff. Overall a well thought out design with a chill atmosphere and lovely place- I’d definitely stay here again! Great hostel. Beautiful pool! Friendly staff. Big fully equipped kitchen that we were free to use. We cooked up a great pasta for 6 people. Perfect! Thank you! I loved freedom hostel good vibes! 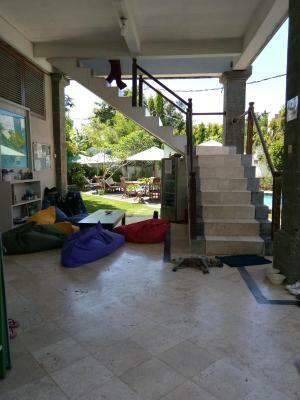 It’s a little paradise for backpackers, surfers, travellers, or just whoever needs to take a little break, meet people, and have cool chats with the hosts. 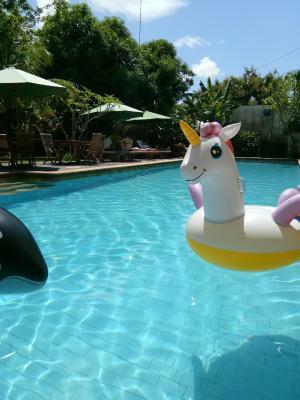 At freedom hostel there is a cozy environment, with a nice common area, and a pool. Rooms were clean, with good air conditioning system. Lovely pool, big apartment, kitchen space and table. Is an amazing place, so familiar, clean, best atention and service, 10 for me. Amazing people - owners Pia and Jerry are really super hosts!!! Welcoming, friendly, ready to help, advice and support. Outstanding people with really good energy!!! 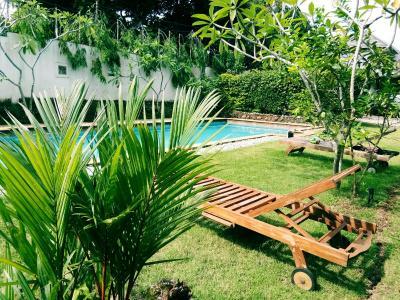 Place itself is really outstanding - spacious rooms and bathrooms, huge common area with kitchen, really good 20 meters long clean swimming pool with lounge chairs, cool garden with mango trees (supertasty! ), evening gatherings with poker games, comfy capsule beds and free breakfast prepared by chef! They also have good new scooters for rent for reasonable price. Guys helped me so much to deal with Indonesian bank when ATM swallowed my card at New Years night - I appreciate it a lot!!! Thank you one more time!!! Will definitely recommend this place to everybody who goes to Bali! One of our best sellers in Jimbaran! 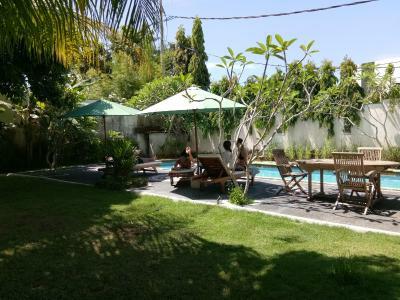 Located in Jimbaran, 1.4 mi from The Rock Bar, Freedom Hostel has an outdoor swimming pool, a garden and rooms with free WiFi access. 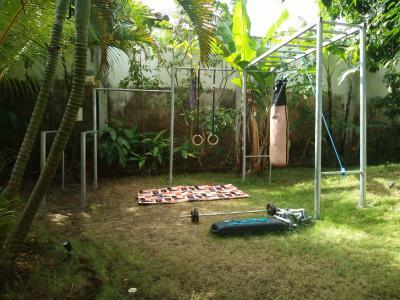 Ideally located in the Bukit district, this hostel is set 1.9 mi from Jimbaran Corner. Balangan Beach is 1.8 mi from the hostel. At the hostel, every room is fitted with a terrace. With a shared bathroom, rooms at Freedom Hostel also provide guests with pool view. The rooms at the accommodations have air conditioning and a desk. With staff speaking English and Indonesian, information is available at the reception. The nearest airport is Ngurah Rai International Airport, 4.3 mi from the hostel. Please note that the property has cats and dogs in the shared areas. Guests with allergies or are uncomfortable with animals are advised to contact the property directly. Please inform Freedom Hostel of your expected arrival time in advance. You can use the Special Requests box when booking, or contact the property directly using the contact details in your confirmation. Water in pool is salty Had bad situation with staff once, made a mistake and didnt want to solve it. No cctv-was hard to find out what exactly happened. Another time asked to change shower holder because it was broken-said "ok" and nothing happened in 4 days. The most things are great so not really something I didn't like.. Unfortunately, breakfast is not included. But there is a large common kitchen and a little restaurant next door where you can have breakfast/lunch/dinner for good prices. Got caught by surprise that breakfast wasn’t included - reviews indicated inclusion of an excellent breakfast rather than none. Luckily we had scooters and so could go out and buy supplies to make some ourselves! Quite place away from the crowds :) Owners/stuff are awesome and helpful...hi little malvina ;) enjoy sweden and the snow! Trying to...but can't think of anything. The capsule beds are perfect: very comfy mattress, space at the side, bench and curtain for privacy. Bathroom is luxury hotel like, spacious, very clean, good water pressure and hot water. Garden and pool really great looking, well mantained and fancy lighting. Home feeling living room with tv and fully functioning kitchen. This is a perfect place to stay in Jimbaran. One of the best value places I have been after several months travelling. Littlebit far from everything. You need motorbike to get move around. Location peaceful around local peoples homes. Apartment spaces and clean. Good kitchen. Clean pool. Nice carden. We liked everything very much. Going back again. Freedom Hostel is a very nice place, where it’s easy to meet people from around the would. The staff is really welcomming and it was really great to take some rest beside the pool. It is also possible to rent a motobike. If un able to ride a scooter it is a little far from the main road however grabs/taxis are available so not a massive problem! Location is great, it’s in the middle of most things so easy to get to places by scooter, especially close to Uluwatu and dreamland beach. Very large pool and comfy capsule beds! The owners are great and all the staff are friendly! Loved my stay here, Thankyou!